DT E-i-C Vince: For this week's Coffee Brake, I sat down with Frank Kosarek from InspectX and asked him about mobile pre-purchase inspections. DailyTurismo: Tell us the a bit about the steps for the perfect Pre-Purchase Inspection. Frank Kosarek from InspectX: Buying a private-party car is an exciting concept for an enthusiast. Not only can you find rare, low-mileage examples, but without a middleman, you can score an incredible car for thousands less (like on DT). Here’s the trouble––a dealership stands behind any car they sell. A private seller doesn’t. That means it’s up to you to verify the quality of the car you’re buying. In comes the pre-purchase inspection (PPI), which is a mechanical and cosmetic check that you can order on any car for peace of mind. DT: When should a buyer ask the seller about doing a 3rd party PPI? Frank: Ask for an inspection early and often. One of the most important values of asking for a PPI is gauging the seller’s response. Are they open and willing to have the car checked out? Or do they run for the hills when you ask about bringing in a professional? Chances are good that a seller who’s trying to hide something won’t be open to an expert opinion on their car. So make it clear that you’re interested in an inspection from the beginning of your negotiations. Most importantly, make sure that any offer you make on the car is conditional on a satisfactory PPI. That way you’ll have the freedom to back out of the sale if something's amiss. DT : Can I just get any mechanic to do a PPI on any car? Frank: I'd recommend that you hire ONLY a brand-specific expert to perform the inspection. You wouldn’t ask a doctor who specializes in joints to check out your skin rash, would you? The same logic applies to mechanics. If you’re looking at buying a BMW, make sure that a true BMW expert is doing the evaluation. Why does it matter? Specialists receive factory training to understand how to repair issues that are unique to the brand and to specific models. Better yet, a brand-specific mechanic’s everyday job is fixing real-world issues for a particular make. They’ll know which parts commonly fail from experience, and they’ll take extra care to ensure that your car doesn’t exhibit any of those common problems. That’s why we emphasize brand specialty for all of our inspections at inspectX. We’d only send a factory-trained Porsche technician to inspect your Porsche because we want to give you the best opinion possible. DT: So, I just find any Porsche mechanic and ask him to do a PPI on a Porsche...sounds easy? Frank: You want to be crystal-clear on the contents of the inspection and the price before you book it. Pre-purchase inspections aren’t standardized. Even within the same city, one Porsche shop might check an entirely different list of components from a peer across town. Make sure that you know exactly what will be checked, how long the inspection will take, and how much it will cost before you confirm. Most inspections will cover a broad variety of mechanical and cosmetic checkpoints. But if there’s a particular issue you’re concerned about (or a common problem you read about on Bimmerforums), ask the technician if they’ll check it for you. 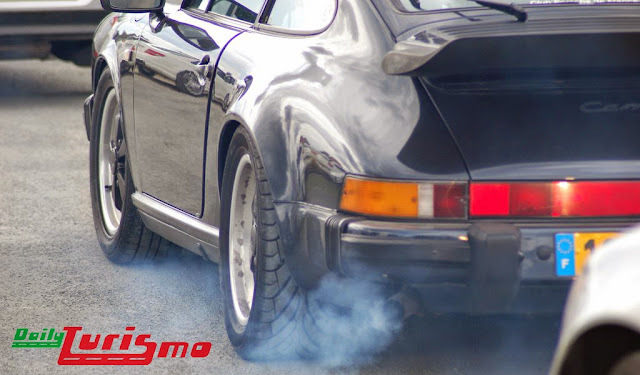 Further, if you’re buying an air-cooled Porsche, for example, you may consider ordering a compression or leakdown test (both of which are good proxies for engine health). Make sure the inspector knows your preference ahead of time. At inspectX, we make this step easy. We use a standardized, 200-point inspection checklist for every job. We also know when to recommend particular checks based on common brand issues, so you’ll receive a digestible, comprehensive report every time. DT: If I do a PPI, do I need to get/look-at/evaluate the service records? Frank: Service records are the resume of any used car. An inconsistent history of oil changes done in a variety of locations is a red flag. No service records at all is a deal breaker. If the seller can provide service records, show them to the inspector doing the PPI. The technician can validate that all of the work was done correctly and note any common problem areas that haven’t been fixed yet. From there, you can get a glimpse of how the previous owners cared for your new baby. Frank: When your inspection report comes back, you may see hundreds of checkpoints marked “Pass” or “OK.” This may seem like a great sign. But don’t be fooled––even a sea of “OKs” could be punctuated by a few serious issues that should break the deal. Pay special attention to any failure points related to frame damage, evidence of a repaint, or missing emissions stickers under the hood. Any of these points could indicate that the car was repaired after an accident, even if it doesn’t show up on the CarFax. In addition, for European cars, make sure to dig in to any fluid leaks that the inspection discovers. Though often minor, some types of leaks (especially those involving coolant from the top of the engine block) could mean that the car will need a major rebuild in the near future. When you order a report from inspectX, we make sure to summarize and describe the most significant issues we find to make the report as useful as possible. In the end, a great PPI comes down to choosing the right inspector and a relevant set of inspection points. A CarFax report isn’t enough––you need a deeper look into the vehicle’s history to make an informed purchase. Now go out and order an inspection on that pristine Porsche! Frank Kosarek is a lifetime German car enthusiast and the founder of inspectX, a nationwide network of dealership technicians available for mobile pre-purchase inspections. He’s also an avid DT reader and a Craigslist addict. DT Full disclosure: No money exchanged hands for this article and there was no quid pro quo, or squid kebabs (aka Portugese Espetadas) exchanged. A dealership stands behind the car as you drive hoping your mug will never return with issues and i have had service problems with a new cars and they could care less or take car of you under factory warranty. WQhat does InspectX charge for an air-cooled Porsche inspection (for example)? Given my experience with "inspections and inspectors for hire" ask if it includes and inspection for undercarriage issues, rust or rust repairs, and paint thickness/repaint. If it doesn't include an inspection on a lift and doesn't guarantee the inspection in terms of $$, save your money and buy an air ticket instead. Not worth 1 dime without any liability or guarantee by the inspector.